Happy Thanksgiving, y’all! It’s that time again…to give thanks for all that we have, watch a lot of football, enjoy our families (of course, until 6pm on Thursday when all the pre-Black Friday mania begins…ugh), and eat some turkey. 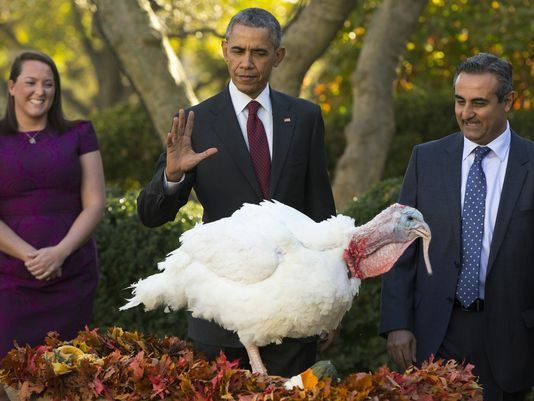 A couple of very lucky turkeys in Washington, D.C. on Wednesday will receive an official Presidential Pardon from Mr. Obama, entitling them to not be Thanksgiving dinner for the First Family or any other regular old American family. Each year, the Commander in Chief pardons a “main” turkey and a “backup” turkey, who often have adorable couple-y names: Biscuits and Gravy, Stars and Stripes, Cobbler and Gobbler, and my personal favorite Apple and Cider. The pardoned turkeys are sent to petting zoos (one is called Frying Pan Park…which I think is a sick-sounding place to send the pardoned birds) or to be the Grand Marshal(s) of the Thanksgiving Day parade at Disney World. Either way, these turkeys get a second chance at life…to be adored and petted or adored and hollered for by sugared up kids at Disney…both preferable to ending up in the roasting pan. President Obama, not 100% sure he wants to pardon TOTUS. My dad called my brother and me “turkeys” when we were growing up, and he has continued this cute nickname with my three children. He used “turkeys” in place of “goofballs” or some other silly titles parents give their children…a term of endearment. 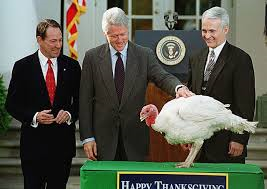 So, in the spirit of Thanksgiving and my dad’s goofy nicknaming prospect, I will be taking this opportunity to pardon some turkeys in my life, Presidential-style. 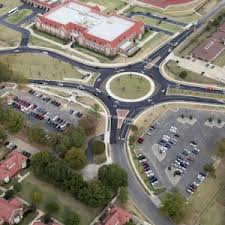 People Who Can’t Drive in Traffic Circles: Our town has created many traffic circles instead of the usual 4-way intersections or worse, red lights. I love traffic circles. They make intersections bearable. However, there are a few drivers around town who haven’t quite mastered the art of the roundabout. Some cars around town exit these things like they’re holding onto the center of a merry-go-round and are being haphazardly flung out wherever they may land, which is terrifying to drive near. Today, I pardon them. On January 1, I’m restoring my traffic circle rage. Tate, for Breaking Stuff in My Car: Dude, this kid breaks everything. I remind him that Mommy throws broken things away and we never get to play with them again. This lesson has not sunk in at all. I have drawn the line, however, at my car. I love my car, a GMC Acadia, which is just old enough not to have Bluetooth capability installed. Instead it had a port where I could plug a cheapo two-male plug and connect my car’s stereo system to my phone to listen to books and music. 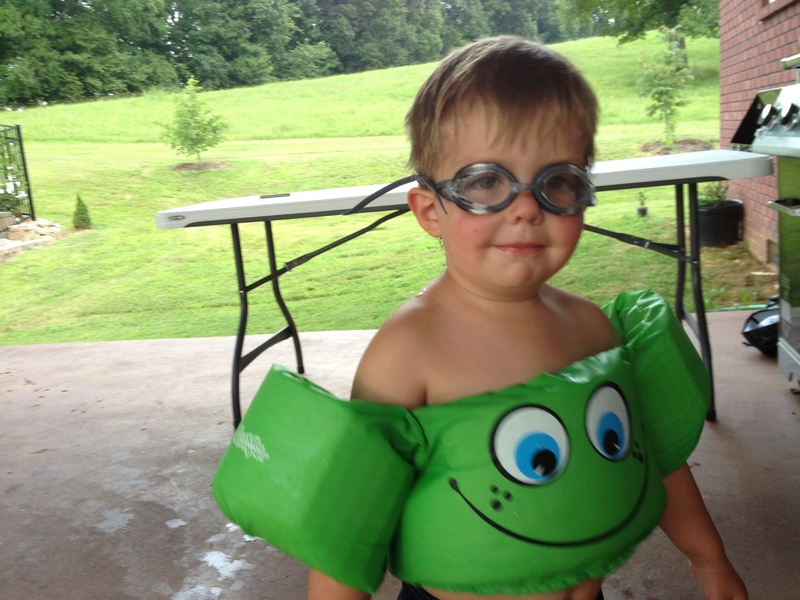 Sadly, Tate crawled into the front seat one morning and broke one end of the cheap plug off in the port. It has stayed there, taunting me day after day. It’s officially broken, never to work again without majorly expensive car surgery. Many of us have tried to remove what’s left in there to no avail. Grrr…pardoned. I-40 somewhere between Memphis and Little Rock. Ugh. Memphis: We have lived in Arkansas almost a year and a half, and every time we drive to Tennessee to see our families, it is a crap shoot on whether or not we sit in this mess, go down to one lane, cross over into the other side of the interstate in one lane, blah, blah, blah. Mr. Arkansas Road Czar, I have three small children who, in the car, have a limited tolerance for long road trips before they fight, scream, cry, beg for food, the bathroom, etc. Naturally, we would like to get as far down the road before this inevitable blow up occurs. 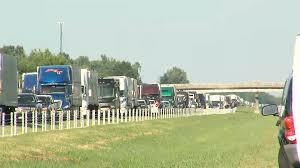 I would not like to spend the blow up sitting still on the interstate in the Arkansas delta. 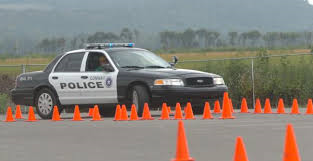 Today, road people, y’all are pardoned. But we are going to Tennessee for Christmas, so don’t make me find your cell phone number and turn on the speakerphone during the meltdown if I’m sitting still anywhere near Forrest City. UPDATE 2015: THE INTERSTATE IS NOW OPEN! HALLELUJAH!! Romeo, Max, and Their Owner: When I tell you that Romeo and Max made early life in Arkansas less than stellar, please believe me. 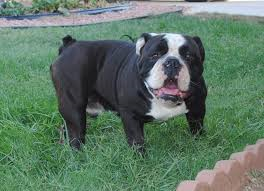 Romeo is a bull dog. 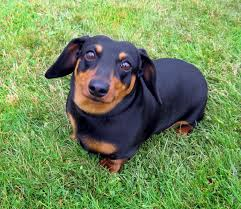 Max is a weiner dog. Their owner, our neighbor who shares the backyard fence with us, for the first several months that we lived in our new home…wasn’t home (he had somebody coming in to feed them, animal activists, so don’t call PETA). Jeff and I love to unwind after we put the kids by having a nice, quiet drink on our back porch. Well, for the first 8 months that we tried this, Romeo (slobbery, deep bark), and Max (yippy bark, then howl) made civil conversation nearly impossible. Bark-bark-slobber…yip-yip-howl. Constantly. They never tired of barking at us. Jeff came up with creative ways to “join them” when we couldn’t “beat ’em,” These tactics included spraying our garden hose at them through a knot hole in the fence, buying an ultrasonic bird house that looked over the neighbor’s yard and emitted some high-pitched dog whistle sound when they barked, yelling obscenities at them, and contemplating ways to let them out of their back yard without the owner knowing it was us. Lucky for us, we have become friendly with the neighbor and the dogs have calmed down. But for those first 8 months, Romeo and Max (and your owner), you are pardoned. My Local Police Department: Okay, so my friends smile and nod when this subject comes up, “Here goes Carrie on the crazy train again…” But it’s true! And I hope I never have to say, “I told you so” to the guys who are not properly patrolling the school zone at my daughter’s elementary school. I sincerely hope that they will never have to scrape some unsuspecting family off the pavement while they are crossing the street after school in what is supposed to be a 20 MPH zone while the signs are blinking. However, the yahoos in this town feel that speeding through the school zone and endangering children’s lives in the process are entirely justified. Some even speed through while texting. I kid you not. And the worst part? They do this in front of a police officer. He does nothing. I have called, and called, and called, and given license plate numbers to the dispatcher, and called businesses whose marked vehicles have sped through the school zone, and stopped to talk to the traffic patrolman who is sitting in his squad car across the street from where people are speeding and looking at his phone and computer and not paying any attention to the kid who was nearly mowed down by an SUV the other day. I may stage my own coup in which I hang out with a hair dryer on the side of the road and pick off unsuspecting motorists with my fake radar gun. The pardon is on for now, CPD. But I’m coming for you again, make no mistake.